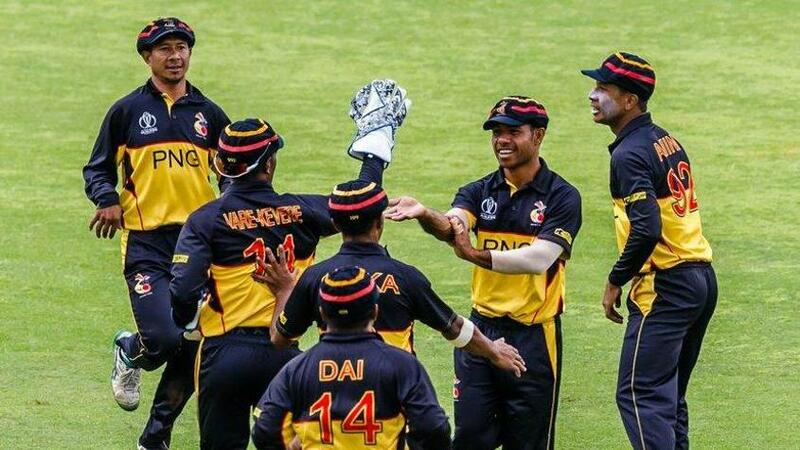 Assad Vala, the Papua New Guinea captain, wants his new-look squad to develop “winning habits” at the ICC Men’s World T20 Qualifier – East Asia Pacific Group A later this month. “We are hoping the young group of lads gain more experience on an international level and for the team to start practising winning habits,” he said on Tuesday, 14 August, ahead of the team’s departure. “Winning is a habit and our main objective going into this tournament is to win and win well. Charles Amini Jnr and Nosaina Pokana are set to return to the Twenty20 International side, while the exciting wicket-keeper batsman Steven Eno is in line for a debut. Amini, who last played a T20I in February 2016, was back in the mix for the ICC Cricket World Cup Qualifier 2018 in Zimbabwe earlier this year. He has the additional responsibility of vice-captaincy. “CJ Amini has had an incredible Hebou Shield [the domestic tournament] with bat and ball, so looking forward to him being back in the team with cricket under his belt,” said Joe Dawes, the coach. The squad had been under a “gruelling” training programme for the past five months, Vala said. This included practising for the artificial pitches they are going to face. “It has been a while since we have played on artificial wicket in an international tournament, but we will not use that as an excuse because we have been playing all our domestic competition on synthetic to prepare for this tournament,” he said. PNG had a disappointing ICC Cricket World Cup Qualifier 2018 campaign, despite a memorable century by Tony Ura, and will be keen to make amends. They take on hosts Fiji, Samoa and Vanuatu in the tournament starting 25 August. The top two teams will feature in the ICC World T20 – EAP Regional Final in 2019, with the next step being the ICC World T20 2020 in Australia. Squad: Assadollah Vala (c), Charles Jordan Alewa Amini (vc), Lega Siaka, Jason Kila, Tony Pala Ura, Sese Bau, Kipling Doriga, John Boge Reva, Nosaina Pokana, Alei Nao, Damien Ravu, Chad Aiwati Soper, Norman Vanua, Steven Eno.